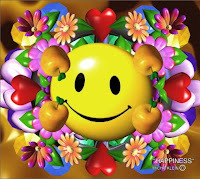 Self Help Goddess Blog: Be Happy Now! Right now I’m in the midst of writing my my first ebook on how to create your ideal life, and am currently going through the process of selecting what topics to include in the book. The book will focus on some of the biggest secrets I have learned over the years from reading hundreds (maybe thousands!) 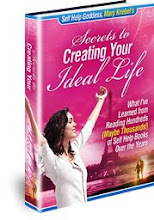 of self help books about creating and living your dream life on a daily basis. I’ve been thinking about which particular secrets to include in the book, and what I’m about to reveal here may possibly be the biggest secret to creating your ideal life EVER. 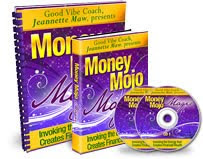 Are you ready for this life-changing secret that can help you create your ideal life? Make sure you’re sitting down for this because you’re not going to believe how simple it is! Here it is: BE HAPPY NOW. I told you it was simple!! Let’s face it, the reason most of us want anything in life is so that we can be happier or reach that state of eternal bliss and happiness. Think about it: Why do you want that million dollars? Perhaps so you can quit your job and travel the world, and be happier. Why do you want a fulfilling relationship with your ideal partner? So you can be loved and accepted for who are, and be happier. Why do you want to open that art gallery you’ve been dreaming of for years? So you can express your natural talents and gifts, and be happier. The truth is, no matter how you break it down, the reason most of us want to create or attract anything in life is to ultimately get to a place of pure joy and happiness. It doesn’t really even matter what you want, because everyone has different wants and desires. Eventually, though, all anyone really wants is happiness, plain and simple. Happiness is always the treasure at the end of the rainbow! Problem is that most of us condition our happiness on something outside of us. We think we can’t be happy until we get the fast red sports car, or the prestigious job, or the adorable children, or the muscular toned body, or perfect skin, or whatever. Society basically trains us from a very early age to believe that happiness is only accessible to us AFTER we’ve attained something on the outside. And the sad part is that many of us never get to that place of eternal bliss and happiness we are all searching for because a) we never accomplish the goals we think will make us happy or b) if we do achieve those goals, we quickly come up with new ones and condition our happiness on achieving those goals. It’s a never-ending battle, really! But what if we just bypass all those goals and external things all together and allow ourselves to just be happy now! I came to this conclusion a few weeks ago in my own life and remember thinking how life-altering and mind-blowing this was. I was mentally going through my daily list of things to be grateful for and was repeating the same things I have said to myself numerous times: “I’m grateful for my cute condo. I’m grateful to have money in the bank and live in a great city. I’m grateful to have friends who enjoy doing the same activities as me,” etc. etc. etc. All of a sudden, though, it occurred to me that even as I was grateful to have all these wonderful things in my life, I wasn’t necessarily any happier, which is my ultimate goal (and I’m guessing it’s yours, too). The funny thing is, not only will you already be happier but you will actually begin attracting to you those things you thought you needed to be happy in the first place. Because you will already be happy, your attitude towards those things will change and relax, making it much easier for them to flow into your life. You won't need those things to be happy anymore, and once you release your need and desperation the Universe will have a much easier time delivering those things to you. The truth is, the Universe is practically “beating down our doors” trying to deliver our wants and needs to us. Unfortunately, though, we are usually in such a state of need, desperation, anxiety, etc. that we are unable to allow those things into our lives. to my reading list. I’ve heard it’s a really great read about finding happiness, and includes stories and tips from 100 different people who are genuinely happy in life. 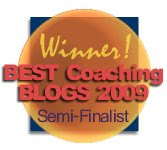 Finally, if you like what you're reading here at this blog I'd love your vote for Best Coaching Blog of 2009. Scroll down to Self Help Goddess blog, and be sure to click the UP arrow. Thanks for your vote!! Finally the secret has been revealed. I think the greatest accomplishment in my life is discovering that I am allowed to just be happy. Its hard putting it into practice at first but the rewards are beyond this earth. Think of it, heaven is suppose to be the happiest and greatest place you can think of. How much powerful would it be to just be as happy as you would think you would be in heaven despite everything around you? Don't get me wrong though being happy for no reason is hard. It takes alot of practise and mental conditioning. "I think the greatest accomplishment in my life is discovering that I am allowed to just be happy." "How much powerful would it be to just be as happy as you would think you would be in heaven despite everything around you?" I agree that finding happiness in the now takes a lot of practice at first... But once you get the hang of it, it really is pure bliss! You certainly pack a lot of useful information into an article. The book you are compiling will assist a lot of people. When you r heart is in something, this is a sign from the universe you are precisely where you are and are meant to be. Keep smiling! Thanks for your thoughtful comment, Liara! It is my intention to help as many people create their ideal lives as possible. One step at a time! And the plain honest fact of the matter is that NOW is the only time we can be happy. We live in a never ending stream of moments in time known as "The Present". Attempting by work, action or plan to be happy at some future point is futile! There is no way to know what the intervening Now moments will bring to that time, so no word, action or plan can possibly address it.